Best Motorcycle Helmet, Is There One? Is there ONE Best Motorcycle Helmet? Like all things motorcycle-related, probably not. BUT, there are many choices, and probably many very good helmets for you. Just last season, I was surprised to see pink helmets at our local dealer. That would never have been the case 5 years ago. This year, I actually bought two different motorcycle helmets. One, an Arai Vector - was relatively expensive, as far as helmets go. The other, HJC - was close to 1/3rd the cost of the Arai, and if I had to pick a favorite, it would be difficult. Each helmet does exactly the same thing - protects my brain. Both are relatively lightweight, both are full face helmets. Yet why so much difference in cost? My other guess - HJC is a relatively new-comer to the biker market in the states, and is a Korean company. Supply and demand and market forces equal less expensive. 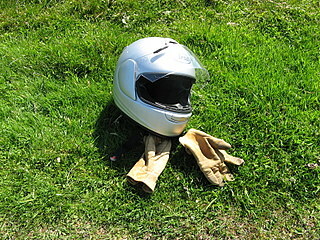 The Best Motorcycle Helmet is one that you will wear. So, if budgetary concerns are your highest priority, try on some of the cheaper motorcycle helmets. Read some reviews - talk to other bikers you know. I've talked to other riders with HJC helmets who feel the same way I do - cheaper isn't necessarily bad. My Arai is now gathering dust, waiting for me to remember to take it to the dealer for a fix. And while I think it probably was worth the price, the HJC does the trick too. So, IS there any one BEST motorcycle helmet? You tell me. Currently - to me, the best helmet would be one equipped with a camera that would allow me to take pictures and/or videos while riding. If you are a woman motorcyclist, and you are using what you believe is one of the "best helmets" for you, send me a note and let us all know! Why did you choose your helmet? What advice do you have for a beginner who wants to buy her first motorcycle helmet? What Helmet are you using? Click below to see some of our users say about helmuts, and read all about them. 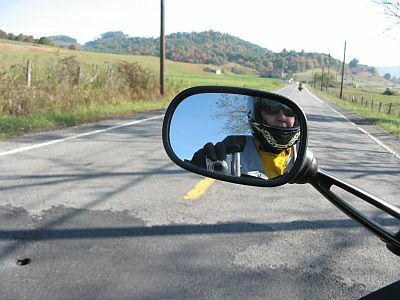 Don't be shy...remember, we women motorcycle riders are the adventurous type...right?